Find and search for crew members. Post available opportunities or browse the available crew listings for experienced crew based all over the UK. Search by location, skills and credits. We all prefer to work with people we know, and reply upon people we know to give recommendations on others and to others. 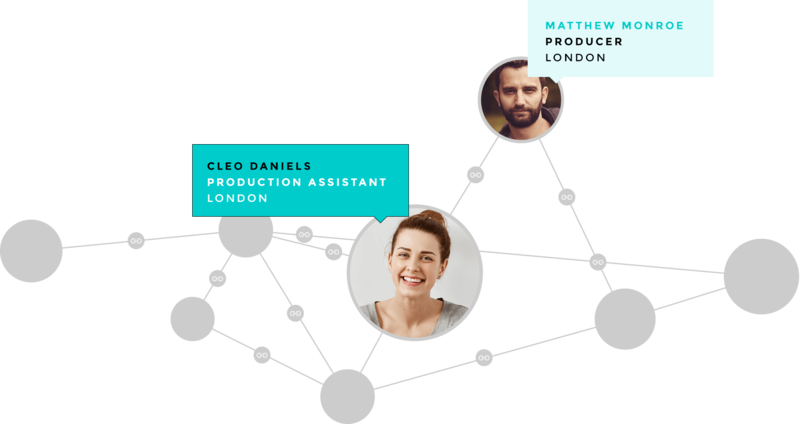 Use Established to record and build your network, allowing others to see who you know and the connections between you. Getting a personal recommendation has never been easier. Use Established to reach out to your network and find out who's working where and on what. Live messaging via the site allows you to discreetly keep in touch. There is a job out there, not advertised anywhere, waiting for you. Use Established to find it. Established is a free network for all to post and apply to job opportunities. However, sometimes you may prefer to enhance your profile and availability by becoming a PRO member. This ensures that your application is at the top of the pile.